Well here’s something very exciting: starting today, LA’s THE BLUEGRASS SITUATION is teaming up with New York’s grass clippings blog to bring you “Notes from the Coast.” In an effort to create a dialog between our two urban bluegrass and Americana scenes, we’ll be sharing the latest happenings, most interesting new bands, popular venues, and other cool news and announcements from our respective cities. Hopefully it’ll give readers of both sites incentive to explore more of the local culture on opposite coasts, and keep everyone abreast of the best of the music we love most. Of note, we’re joining forces to bring you in-depth coverage at the most influential festivals of the summer. THE BLUEGRASS SITUATION will cover this week’s The Telluride Bluegrass Festival for both sites. Next month, the grass clippings blog will report from The Newport Folk Festival for both sites. We’re so excited to kick things off and hope you are to! If you have any suggestions on things we absolutely need to cover, let us know! 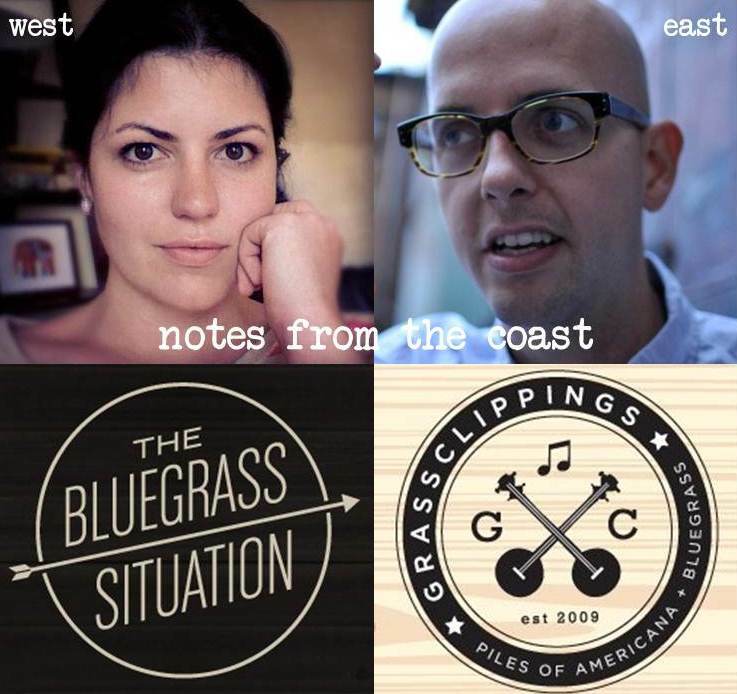 Email Amy at amy@thebluegrasssituation.com or Garland at grassclippingsblog@gmail.com.